"Notwithstanding major reservations expressed by many stakeholders this package of regulatory interventions is in danger of undermining the importance of good governance by imposing rules which restrict the ability of shareholders and investors to choose what is best for the companies they own. The role of audit committees, which is at the heart of the EU corporate governance system, has been seriously curtailed; for example, an audit committee's freedom of choice in deciding who provides non-audit services will now be significantly reduced. 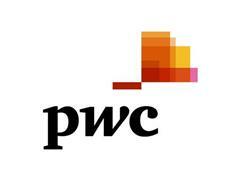 By definition mandatory audit firm rotation reduces competition and choice which is an odd outcome given the European Commission's stated desire to increase competition," said Richard Sexton, vice chairman global Assurance, PwC. "The proposals will also if enacted, increase cost and complexity for business just as the fragile European economy is recovering. It is hard to see how forcing companies to change auditors periodically does anything to improve audit quality and that case is certainly not borne out in those countries which already have such rules." "We would urge both the European Parliament and the member state governments to look again at this regulation with the aim of making significant changes or face introducing a law that will place European business at serious competitive disadvantage," added Mr Sexton.